There is a lot of buzz about bamboo flooring these days, both positive, and negative. Read on to find what is best for you! 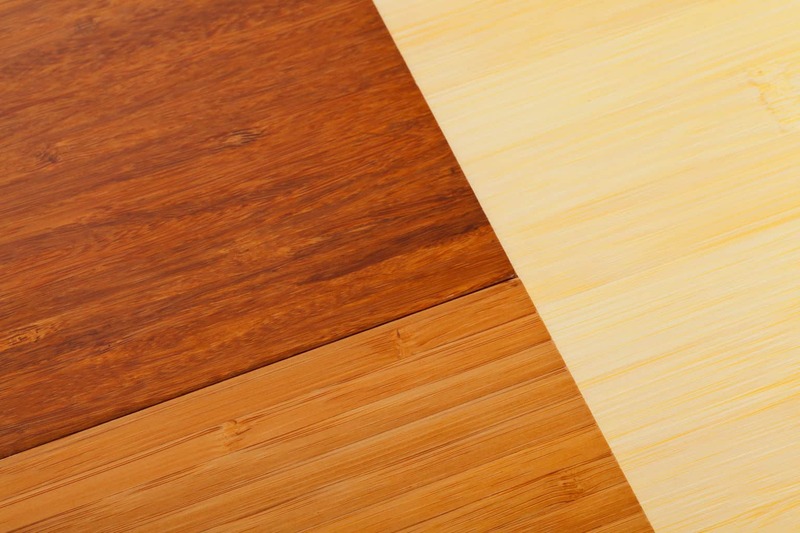 A lot of the mixed reviews can be attributed to the huge variety in quality of bamboo flooring and the lack of a real, standardized rating system for the manufacturing of bamboo flooring. Another issue with bamboo is that people are expecting their bamboo floors to behave like hardwood, when these two materials are fundamentally different. Now, along comes strand woven bamboo to help! Strand woven bamboo addresses many of the concerns people have had with the pressed, composite bamboo planks, but is still made from the highly renewable, beautiful bamboo that has become so desired. What Is Strand Woven Bamboo And How Is It Made? The most important thing to understand about bamboo is that it is not wood. Bamboo is actually a grass. So, although bamboo is all the rage because of its natural strength, botanically speaking, the parts of the plant that bind the individual strands together (the lingins) are weaker than that of a hardwood. So how did bamboo gain the reputation of being so tough? The fibers of the plant, the strands bound together by these weaker lingins, are strong enough to rival steel. The easiest way to picture this is to imagine a banana peel: ripping the peel in half width-wise is more difficult; but peeling a banana, pulling it apart between the strands, is very easy. What this means in terms of bamboo flooring is that trying to break bamboo in half would be very difficult. However, strike a bamboo plank with something hard like the sole of a high heel or a dropped knife, and it will result in larger and more significant dents than with oak or maple, because you are causing damage to the part that holds the bamboo strands together. 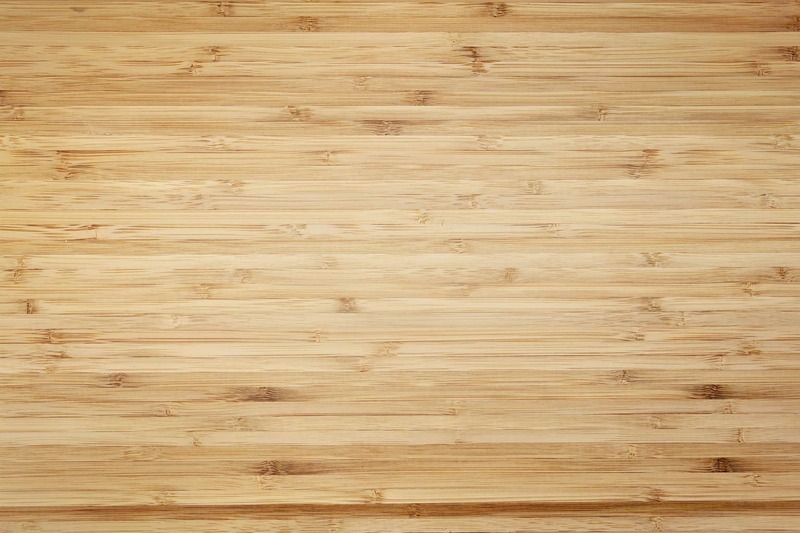 So what is the difference between strand woven bamboo and solid bamboo flooring? Strand woven bamboo takes the individual fibers, the strongest part of the plant, and fuses them together with a glue composite, essentially replacing the weaker lingins with a more durable glue. 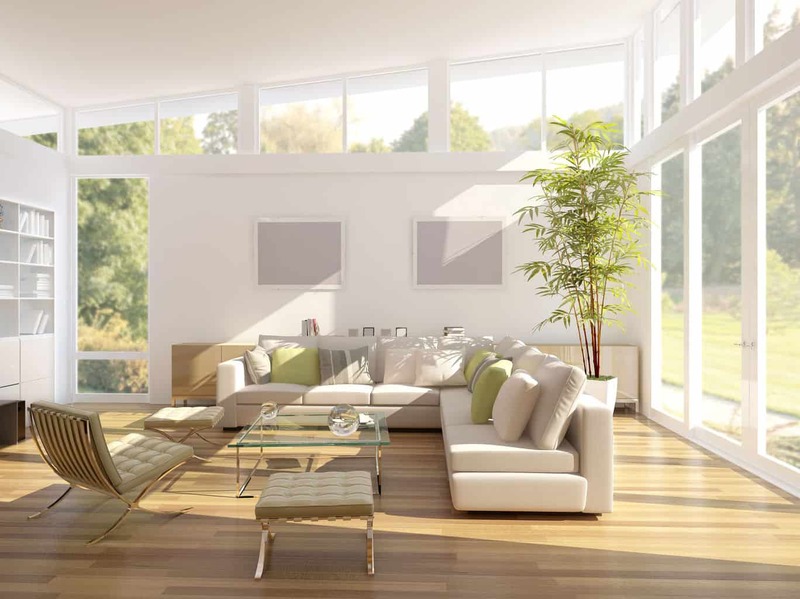 Traditional “solid” bamboo is constructed more like traditional hardwood floors are; by simply layering bamboo together, either horizontally or vertically. Many people who are disappointed by their bamboo floors are expecting them to perform like hardwood. They are frustrated when this supposedly incredibly strong flooring option shows dents and scratches so easily. Strand woven bamboo, however, is much stronger than the “solid plank” bamboo. Because the individual strands are woven together and a glue composite is added to bind the strands, strand woven bamboo holds up significantly better to wear and tear. Think of the strand woven bamboo as bamboo rope instead of individual laid bamboo stalks. This is perhaps the most concerning aspect of bamboo floors. As a grass, bamboo stalks, once cut, are very susceptible to growing mold. They must be treated with an anti-mold borax solution soon after harvesting in order to prevent the growth and spread of the mold spores. Even worse, after the floors have been installed, the mold can continue to spread and grow. This is both a problem for the visual look of the floors as well as a health concern. How does strand woven bamboo improve this? Because the glue composite is added at such high temperatures and then cured, any mold that may have gotten into the stalks will be killed so it will not continue to grow and spread. 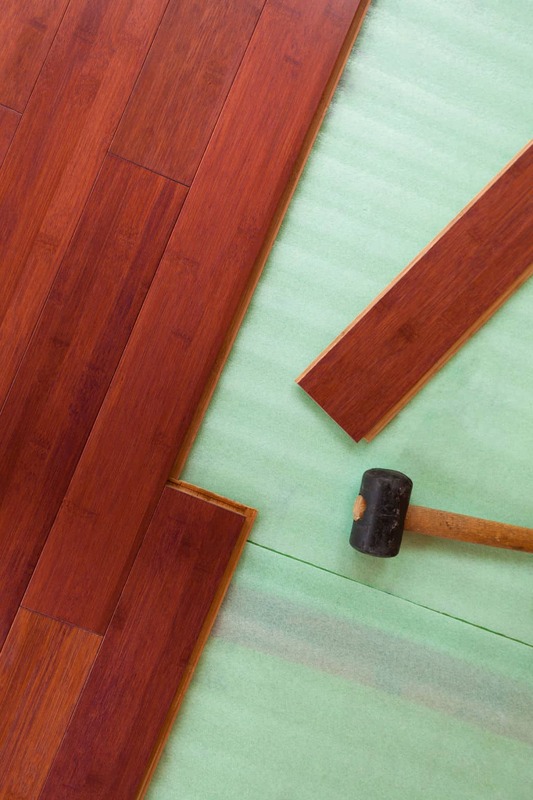 While the mold may have gotten into the stalks used to create the strand woven bamboo flooring, and can even in some cases be seen in the flooring, it is much less visible than in traditionally manufactured planks. While this is not strictly true about all solid bamboo planks, it is a complaint that you will see over and over again about bamboo flooring. The problem stems from the thickness of the bamboo used. When sanding lower grade bamboo flooring planks made from pressed bamboo, you may see some fraying and wear of the bamboo strands. 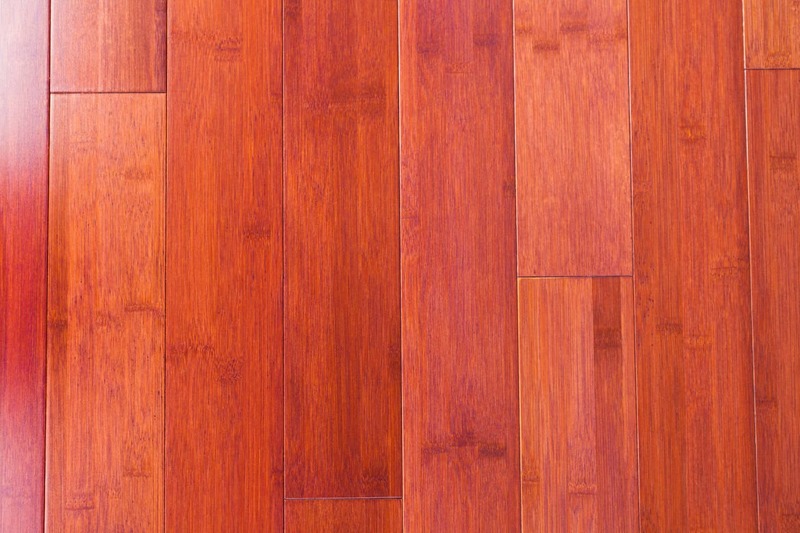 Strand woven bamboo, because of the increased strength, can be refinished by sanding the planks down until the material looks like new and applying a new finish. The bamboo can be refinished a number of times over the years; the thicker the bamboo, the more times it can be refinished. Refinishing bamboo in general, however, is going to be more difficult than traditional hardwoods. Strand Woven Bamboo Flooring, Worth The Price! The down side of strand woven bamboo flooring as opposed to solid bamboo planks? The price is as much as 50% higher for strand woven. If you love the look of bamboo floors, but need something more durable, a strand woven bamboo floor is truly worth the increase in cost.